Emberiza sandwichensis Gmelin, 1789, Unalaska, Alaska. Twenty-one subspecies. 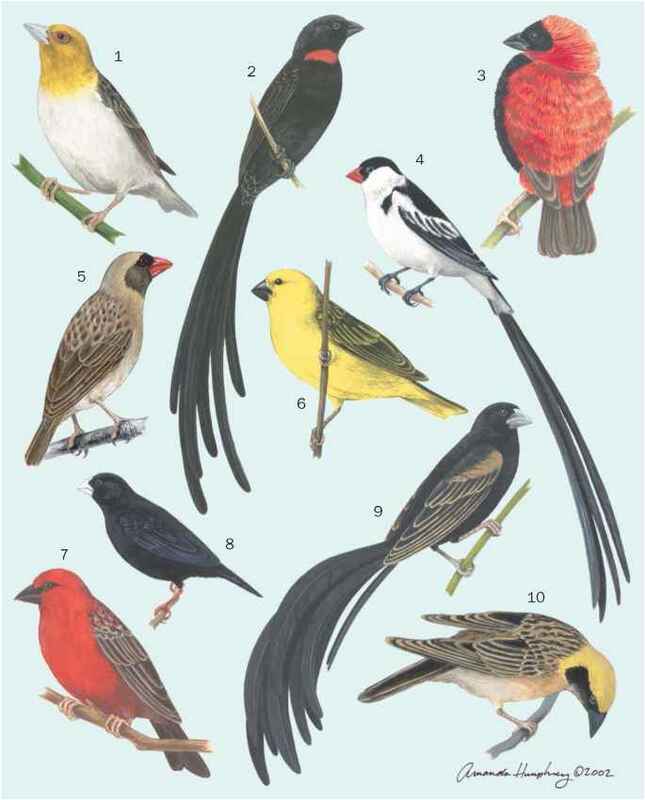 English: Belding's sparrow, Bryant's sparrow, Ipswich sparrow, large-billed sparrow, marsh sparrow, San Benito sparrow, seashore sparrow; French: Bruant des prés; German: Grasammer; Spanish: Sabanero Zanjero. Passerculus sandwichensis H Resident | Breeding | Nonbreeding yellow stripe above the eye, a pale median crown stripe, and a rather short, notched tail. Sexes are alike in color, but they are geographically variable. Breeds from northern Alaska, northern Canada (absent on the arctic islands), south to northern Georgia, the central Great Plains, and south in the mountains to Guatemala. They winter along the east coast of the United States, west through the central Plains, and south to northern Central America. 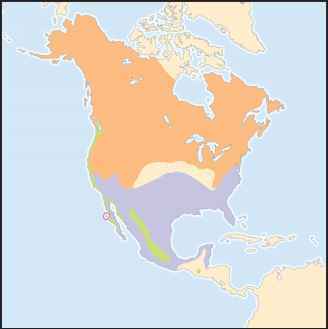 They are resident along the west coast from southern British Columbia south to southern Baja California, along the west coast of Mexico, south to central Sinaloa, and in the highlands of central Mexico. Inhabit open country, such as grassy meadows, cultivated fields, pastures, roadsides, sedge bogs, the edge of salt marshes, and tundra. Found in pairs and family groups in summer. Territorial males typically sing from an exposed perch. On the ground they run or hop. During migration and winter they can be found in small, loose flocks. Flight is strong and direct. In summer, they eat a variety of invertebrates, especially insects, but also some seeds and fruit. In winter, they principally eat seeds. They forage on the ground, low in bushes and weeds, or along the tide line on beaches and in beach wrack. Generally monogamous, but in some populations a male may have two mates (bigamy). The nest is a woven cup of grasses and other vegetation that is placed on the ground or in a slight depression and is partly covered by grasses and other vegetation. Two to six (usually four to five) eggs are laid from February to August. Incubation usually lasts about 12 days, and young usually fledge after 10-12 days. Both parents feed the young. Common throughout its range, but declining in eastern North America as marginal pastures are reverting to woodland.